My Nintendo in Europe has frequent but small updates, no doubt designed to keep users interested and logging in regularly. Two mid-month discounts have now arrived in the region to tempt us to part with our Gold and Platinum points. There's one discount apiece for Wii U and 3DS, one being Virtual Console and another from more recent times; details are below. Are any of you European gamers tempted by these discounts? Once again you use a picture of Ness for Mother 1. Stop that! Sitting on 700 plat and 150 gold coins with nothing to buy still. Pants! I've over 3,000 platinum coins and 100 gold coins but nothing worthwhile to spend them on. I noticed these earlier. My Nintendo is a huge let down. Wow, that's...terrible. I mean, Nintendo could at least TRY to make this thing good! This is really awful. Give me things worth my points! This is awesome. Grabbing both! Hana Samurai? Great game but is there anybody out there who wants it that doesn't already own it? I just purchased earthbound beginning, without discount. I finished it, and found the game very repetitive that requires exorbitant amount of grinding. Dialog in the english version is not very funny either. It does, however, has some quirkiness, but not as good as Earthbound. Not recommended. So in Europe it's named Hana Samurai instead of Sakura Samurai? Interesting. I also find it kinda funny that Hana and Sakura are both names for characters in FE Fates Birthright. 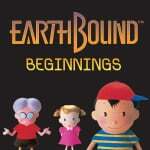 The Earthbound Beginnings discount in Europe is 40%, versus North America's 30%. Both are worth 20 gold coins....Really, NoA? Ah the NES game that Nintendo couldn't be bothered to bring to the portable. Lovely. My Nintendo is the worst. Went over to PSN and scooped up 2 games instead. Why is it just discounts?! Why not actual games or physical items like Club Nintendo!? @Warioware I mean, I didn't even know this game existed until today, so the discount has piqued my interest somewhat. Two decent discounts here. Ugh, need better deals. Pretty sure I'm going to start seeing expired points in a few months the way things are going currently. Already grabbed both decent deals and decent prices. 3100 platinum and 40 gold yet not a drop to drink. I think these are positive announcements, as it means Nintendo are showing a little more focus at offering discounts on their eshop exclusive content. As someone who collects games, I always buy physical over digital, which means a lot of the discounts - whilst good - haven't appealed to me; here are two solid offers for people to take advantage of. I already have Hana Samurai, but I'm interested in Earthbound Beginnings and will probably pick it up at 40% off. By the way, whilst we're waving around coin amounts, I'm on 3,843 platinum and 120 gold. I've bought the Zelda picross game, some Miitomo clothing, all 3 My Nintendo 3DS themes and the Pullblox world discount. I'm really hoping for more discounts on eshop games in the future, as it's clear this isn't going to be rewards system which offers anything focused on physical rewards. @GreatPlayer I would still recommend it. Yes, it's cursed with terrible '80s RPG tropes, but I think the premise, atmosphere, and characters are unique enough to warrant a playthrough if you can take the bad things about an old-school RPG. Earthbound is really a lot better, though. I did grab Pokemon Blue earlier, but I'm afraid I'm unlikely to invest any more in games before the 3rd of October, let alone now. Just grabbed Earthbound Beginnings, need to use my gold coins somehow. @tjhiphop It's a great little game with excellent production values for a download so go for it if you didn't pick it up already. I too have lots of platinum points and it would be nice to have something worthwhile to spend them on. The free picross and Wario games were good and hopefully not a one-off. Might get Hana Samurai. Heard it's good. Thinking of Hana Samurai. Meant to be a pretty good game. Otherwise, My Nintendo is a load of crap. You have to plough in money to get piffling discounts of games that you could have spent less on just straight-up buying instead of getting gold coins. The final days of Club Nintendo were better, which I never thought I would say. @Krisi The problem with Earthbound Beginning was that in an interview, Nintendo admitted that they rushed the game and so they did not even have the time to check the balance at the end of the game. To this end the game was actually not fully finished. There are a LOT of one-hit death at the end of the game, and this has nothing to do with being a game in 80s. @GreatPlayer Yes, that is entirely true, but that's only one problem with the game. All the others can be accounted to it being an NES RPG. The game is still unique in many regards, and it has countless very memorable places, moments, songs, and characters, so I would still play it, even if only once. @Krisi Since you like Earthbound series very much, have you tried Undertale? It was a RPG that based heavily on Earthbound, but also add in an element of acting on an enemies during battles. You can talk, carass, imitate or act in a variety of ways to an enemy, in addition to fighting it. Some gamers like to fight an enemy, while others may prefer end a battle peacefully using those non-violent actions. Different enemies require different actions. Depending on your decision on how to deal with battles, the story will be different. The game plays very much like Earthbound with quirky dialog, but it also has those twists in the story. The music is excellent also. Shame that I already bought Earthbound Beginnings with normal price during summer. Hana Samurai is however really interesting, I think this kind of deal is especially great and Nintendo should do more to promote their own obscure forgotten games that 3DS especially is filled with since 2011. I do. Never even heard of it before, but now I'm really interested about it. Read the review and some other details now that I know that such a game exists. @Kolzig I'd recommend it. Fun game and well-made. @BetaBugs64 It's made even funnier by the fact that the two (Hana and Sakura) are best friends. @GreatPlayer I haven't played it yet, but I've heard it of course as it was pretty much unavoidable on the Internet in the last half a year or so. It does look interesting and cool, but I don't really like playing games on my computer for several reasons. But if the rumors are true, it might get a Nintendo port sometime, and I'll be sure to get that.